With the chick flick arguably in decline, film scholars may well ask: what has become of the woman's film? Little attention has been paid to the proliferation of films, often from the independent sector, that do not sit comfortably in either the category of popular culture or that of high art--films that are perhaps the corollary of the middle-brow novel, or "smart-chick flicks". This book seeks to fill this void by focusing on the steady stream of films about and for women that emerge out of independent American and European cinema, and that are designed to address an international female audience. 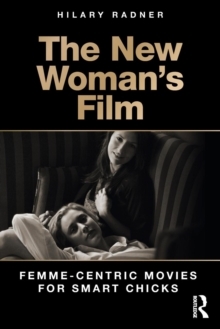 The new woman's film as a genre includes narratives with strong ties to the woman's film of classical Hollywood while constituting a new distinctive cycle of female-centered films that in many ways continue the project of second-wave feminism, albeit in a modified form. Topics addressed include: The Bridges of Madison County (Clint Eastwood, 1995); the feature-length films of Nicole Holofcener, 1996-2013; the film roles of Tilda Swinton; Rachel Getting Married (Jonathan Demme, 2008); Blue Jasmine (Woody Allen, 2013); Frances Ha (Noah Baumbach, 2012), Belle (Amma Asante, 2013), Fifty Shades of Grey (Sam Taylor-Johnson, 2015) and Jane Campion's Top of the Lake (Sundance Channel, 2013-).